There’s a reason why we named this one Elite. Our Vapodri Poly SS Elite Tee belongs to an exclusive range of garments in our NSW State of Origin Team Replica 2018 collection. Wear it with pride, whether you’re going the hard yards at training or cheering on the Blues on Origin day. Whether you’re going at training or cheering on the Blues, Canterbury’s Vapodri Poly SS Elite Tee is a superior tee with some serious attitude. 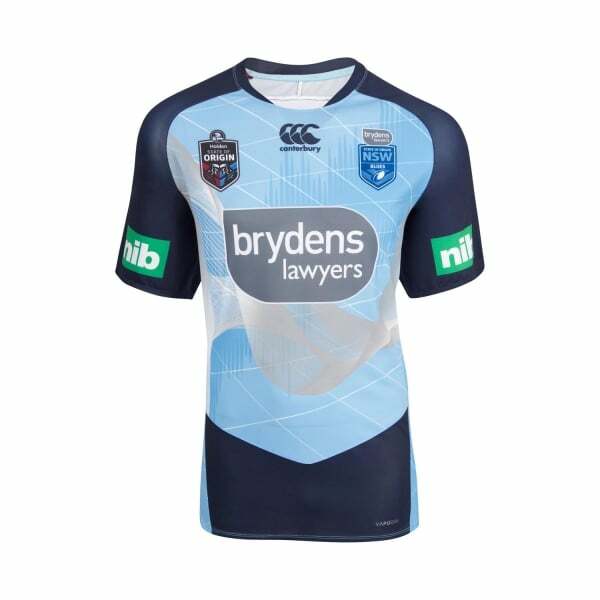 Part of our NSW State of Origin Team Replica 2018 collection, this quality garment features Canterbury’s exclusive Vapodri moisture wicking fabric technology to keep you cooler and drier for longer, plus sublimated team and sponsor logos to show which side of the border your allegiance lies. Wear it with pride whatever you’re doing and know you’re a member of the elite Canterbury team of players, supporters and genuine lovers of the game.